Death of Paris is a fresh, avant-garde band that redefines the meaning of rock. 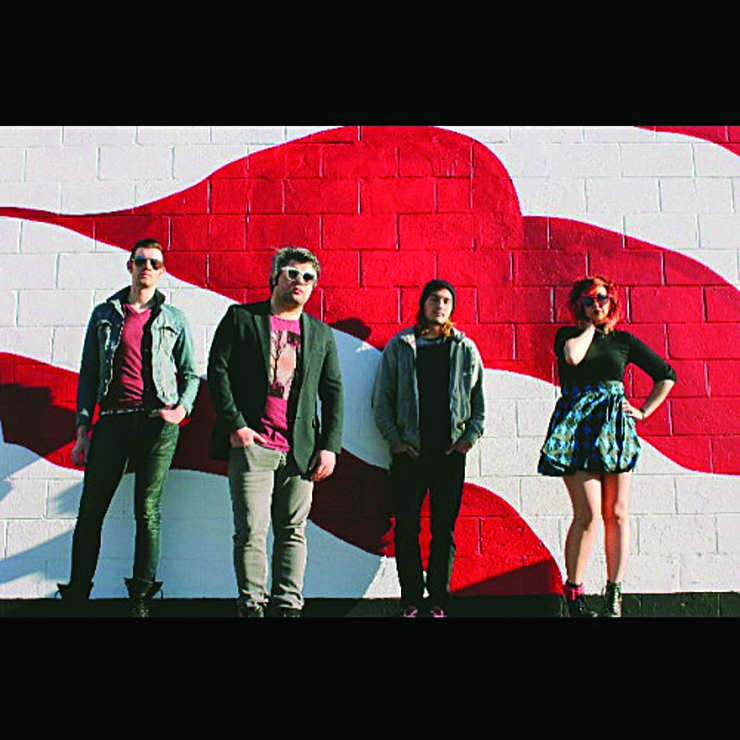 The band describes their music as having a “raw, provocative, electro-pop/rock n’ soul” sound. Their fresh single Shut up & Kiss Me is a clear attempt to create a unique genre. Death of Paris vocalist, Janya Doyle, was influenced by sounds of motown, Stevie Wonder, Mariah Carey, Fiona Apple, The Rolling Stones and music from the 90s. According to the band Death of Paris, the hardest part of making a song is getting started. “Getting over that initial fear of failure and just diving into creating the next song, that’s definitely, for me at least, the hardest thing to overcome right now,” Doyle said. The band collectively writes their songs, which is inspired by the death of modern conversation, and the need to be heard. When Doyle and fellow musician, Blake Arambula, noticed their friends heading into corporate careers, they realized that their paths were destined for something different. Hailing from Columbia, South Carolina and launching themselves in 2009, they started Death of Paris. The two auditioned several guitarists and drummers, but couldn’t find the right fit. In 2010 they found it with DOP guitarist, Patrick Beardley, otherwise known as “Boots” because you’ll never catch him not wearing Doc Martens. Later, they discovered their drummer, Johnny Gornati. Death of Paris performed this year at South by Southwest in Austin Texas. They say “Success means that you’ve been able to take what you love and are passionate about and to make that a career in which you make a living from. Our end goal is to do this full time, to be a full time touring band, taking our music all over the country and eventually internationally,” Doyle said. This ideology is why Death of Paris got a invite to the rapidly growing festival in Austin and puts them on track to their definition of success.